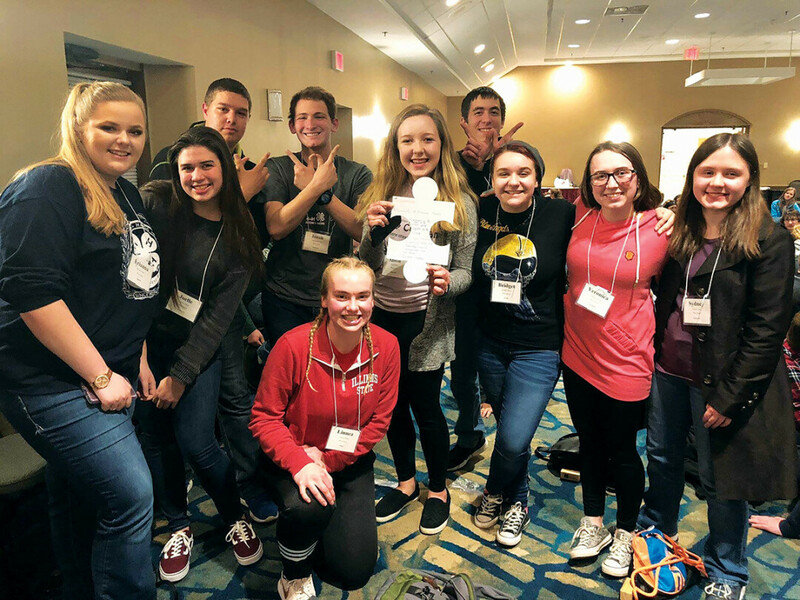 Two Chippewa Valley Students Attend National 4-H Conference in Washington, D.C.
Empowering youth to participate in civic leadership initiatives was the focus of a recent National 4-H Conference, and the Chippewa Valley was lucky enough to send two budding young leaders. Long time 4-Hers Allison Olson, a senior at Eleva Strum High School, and Veronica Klenke, a junior at Bloomer High School, represented Eau Claire and Chippewa counties in Washington, D.C., in April. The National 4-H Conference is designed to encourage civic engagement, youth partnerships, and professional development, which are the heart of the 4-H organization. 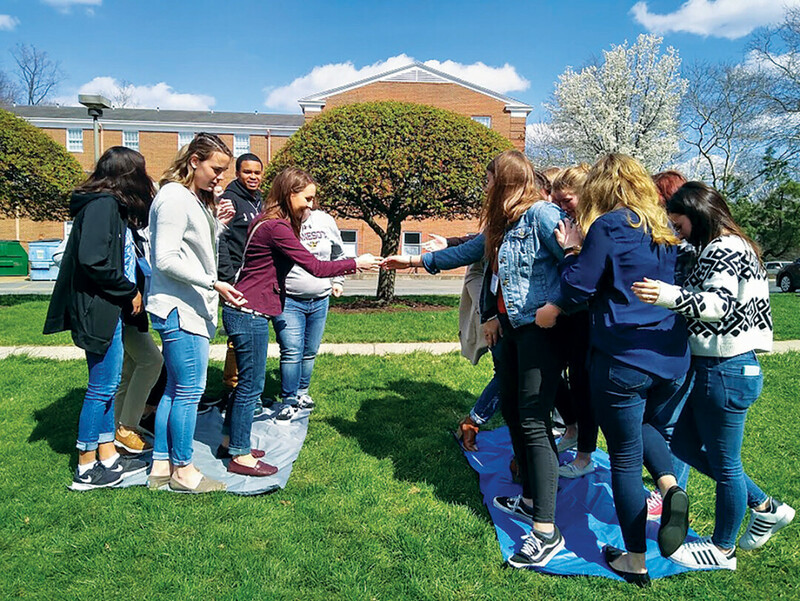 While in Washington with some 300 youth and adults from around North America, Olson and Klenke attended workshops and social events, met state representatives, and participated in roundtable discussions about juvenile justice and adolescent engagement. Before the conference, the young people prepared for their experience by researching a topic of their choice and compiling data from the local and state levels. While at the conference, Olson and Klenke shared their findings with their small groups, allowing them to voice their state perspectives. “I realized how much power youth have within our communities and how much we can make a change with what we have,” Olson said while reflecting on her attendance at the conference. Now back at home, Olson and Klenke have a tremendous opportunity to present their communities with their ideas on how to engage and empower local youth. The conference has given them confidence in their own leadership skills and has ignited a passion for wanting to make their communities better by actively working to create positive change. One idea for engaging local and state youth from Olson is to create programs that offer more healthy living opportunities. Miranda Nelson, the Eau Claire County 4-H program coordinator and a lifelong 4-Her, expressed that 4-H isn’t just about understanding topics associated with agriculture. The program is about building life skills through community service, hands-on experience, and civic outreach. It’s a program meant to include the entire family, not just one or two members. As a child, her focuses included dairy, youth leadership, and horse and pony projects, and she exhibited many entries at the local county fair. Today her family is largely involved with volunteering their dairy farm and animals for students to study, show, and learn how to manage. Additionally, she attended the National 4-H Conference while in high school, which was life changing because it allowed her to step out of her comfort zone to take on daily challenges to help make her community a better place. “The possibilities are really endless,” Nelson said. “If you want to do it, there is an opportunity for you to learn how to do it in 4-H.” The Chippewa and Eau Claire 4-H programs offer a wide range of projects, including learning about robotics and computer programming, STEM projects, photography, arts and theater, communication arts, shooting sports, agricultural projects, and civic leadership and engagement. With 17 clubs in Eau Claire County and countless volunteer families willing to serve, the after-school clubs at area elementary schools each present a different focus on learning for any interest. Although 4-H is offered to anyone kindergarten through one year out of high school, the goal for the local county programs is to expand the 4-H program into the area elementary and middle schools. To find a 4-H program in your community, visit 4h.uwex.edu. Katie Larson, a local nature lover and educational enthusiast, is always working to find common ground, make changes, teach something, and find new passions.